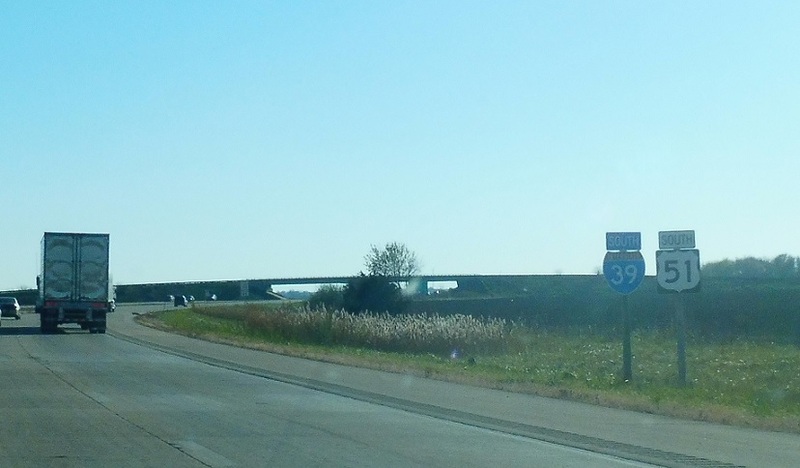 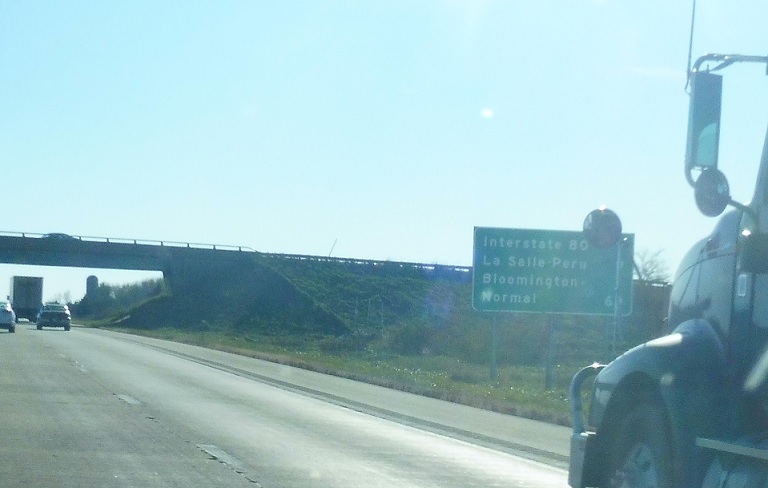 Reassurance shield after the US 52 interchange. 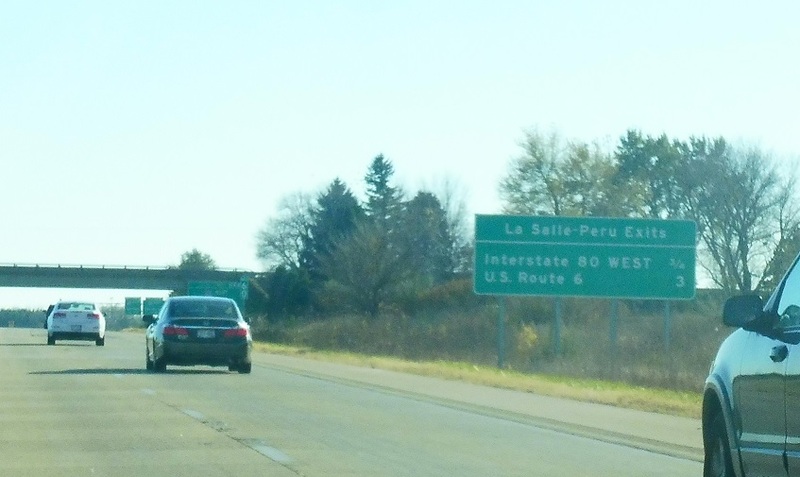 Five miles later we’ll approach I-80. 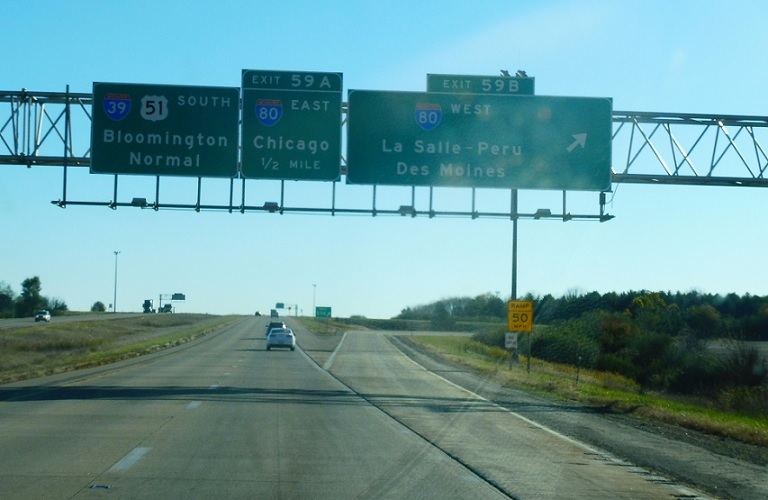 In 3/4 of a mile we’ll approach I-80 west, with US 6 coming up 2.25 miles later. 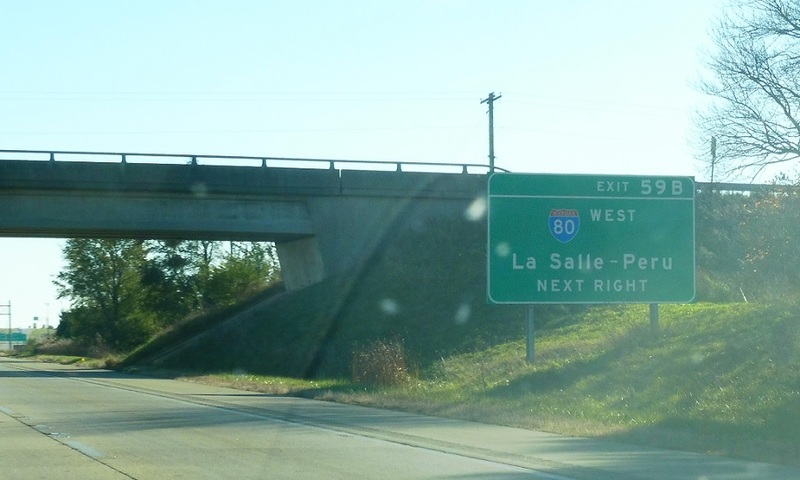 Follow I-80 west into downtown LaSalle and Peru. 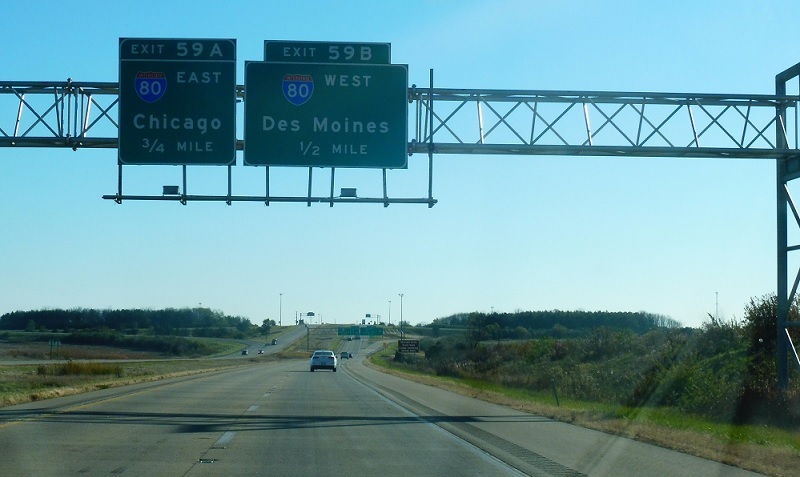 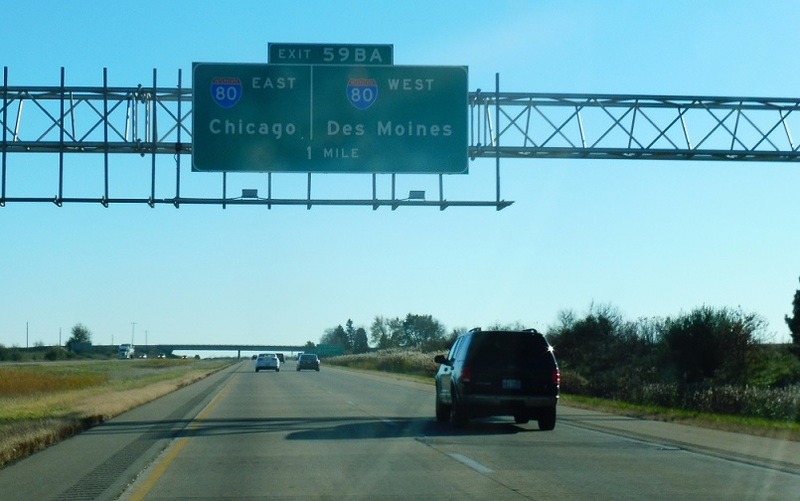 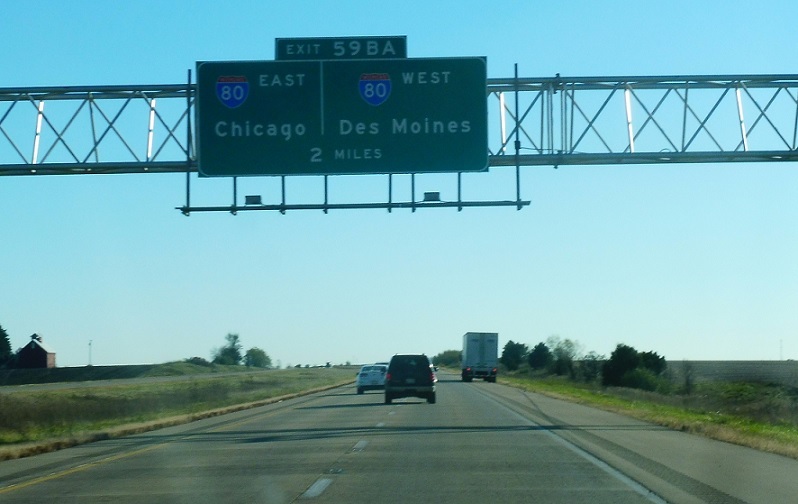 Des Moines, Iowa is the primary control city for I-80 west. 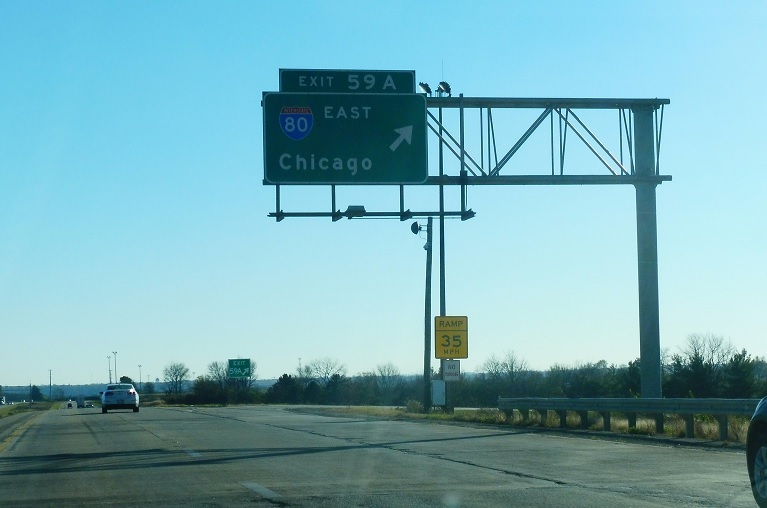 Follow I-80 east to the Windy City.